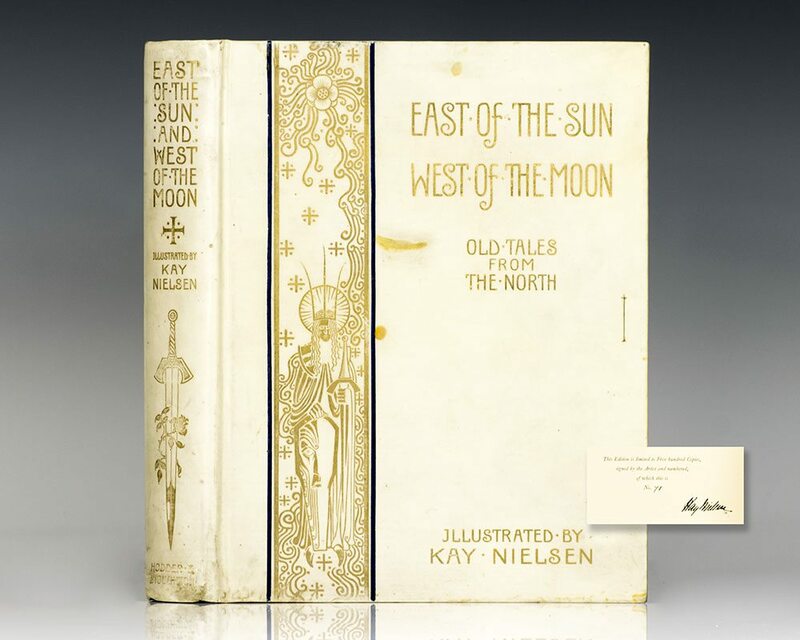 East of the Sun West of the Moon: Old Tales from the North. 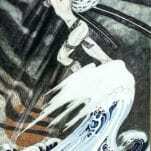 Nielsen, Kay. Asbjornsen, Peter Christen and Moe, Jorgen. 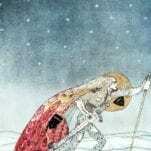 Signed limited edition of one of the most important and impressive books of the Golden Age of book illustration. One of 500 numbered copies, this is number 41. 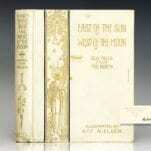 Quarto, original vellum, gilt titles and decoration to spine and front cover gilt, top edge gilt, pictorial endpapers. 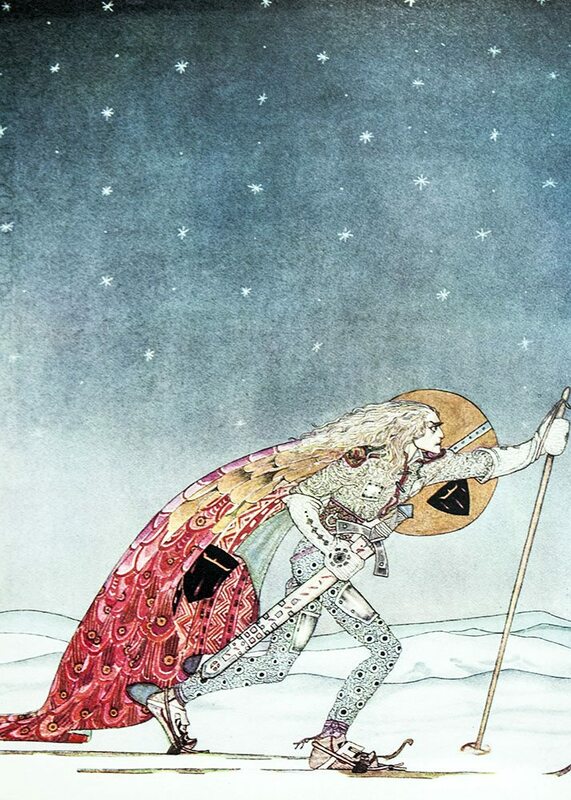 Signed by the illustrator Kay Nielsen. With 25 tipped in color plates. In near fine condition. A very nice example. Laid is the original notice for the Leicester Galleries exhibition held in November and December of 1914, where the watercolors for this book were offered for sale. 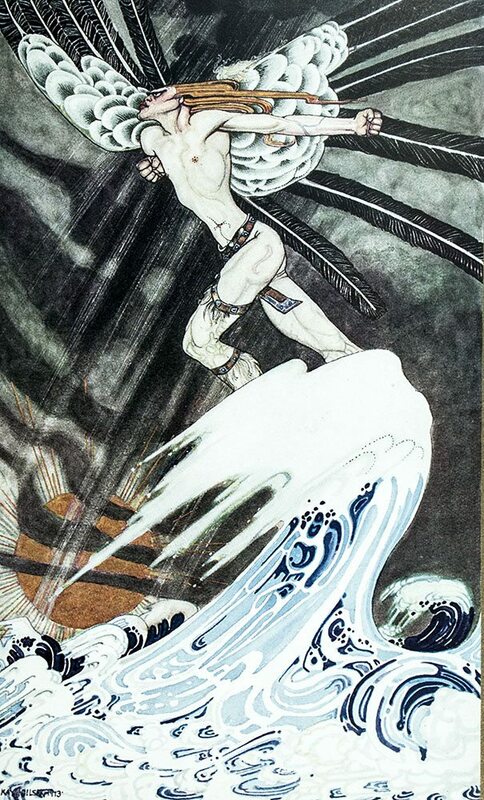 “Kay Nielsen was a brilliant colorist and a highly decorative illustrator, able to introduce images that were sometimes strikingly fantastic… [The style] was uniquely his own, and his depictions of fairyland less sombre than Rackham’s… By general consent, Nielsen’s most spectacular and celebrated book is East of the Sun and West of the Moon, old tales from the North, translated from the Norwegian of Peter C. Asbjornsen and Jorgen Moe (devoted collectors of Scandinavian folk lore in the mid-19th century)… Nielsen’s unique style and talent for combining the eerie and fantastic with beautiful decorative effect was at its peak with this set of illustrations. Drawing in pen and ink, enhanced by watercolour, with an immaculate technique, Nielsen’s beautiful books were always embellished with his designs for endpapers, frieze-like patterns, initial letters, and other decorative motifs” (Dalby, 90).